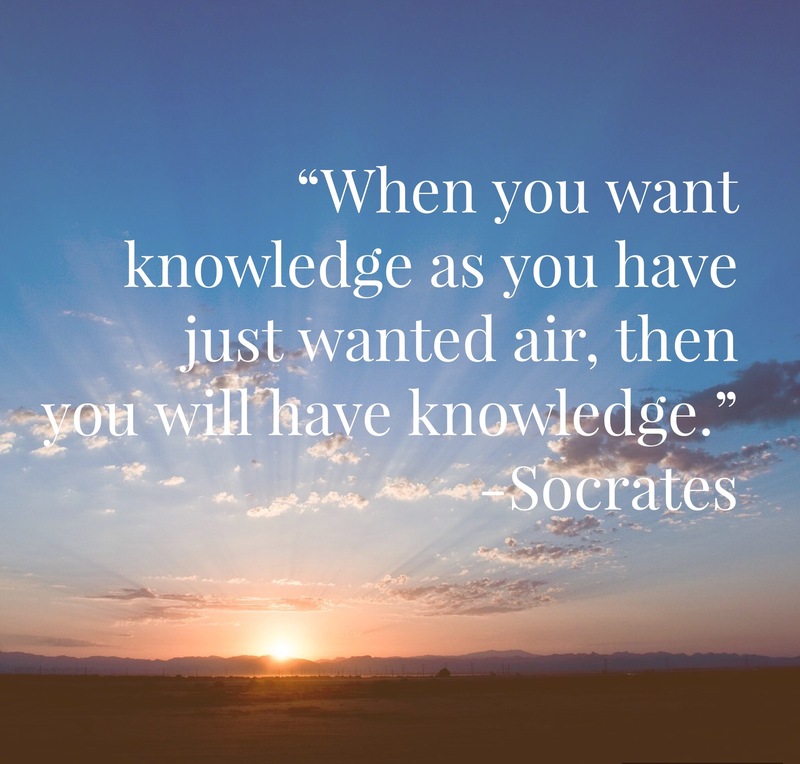 There’s a story about a proud young man who came to Socrates asking for knowledge. Socrates recognized a pompous numbskull when he saw one. Socrates put his strong hands on the man’s shoulders and pushed him under. Thirty seconds later Socrates let him up. “What do you want?” he asked again. Socrates crunched him under again. Thirty seconds passed, thirty-five. Forty. Socrates let him up. The man was gasping. “What do you want, young man?” Between heavy, heaving breaths the fellow wheezed, “Knowledge, O wise and wonderful…”. And what’s the best knowledge there is? The knowledge of God. Treat God’s Word or the knowledge of God as life. You cannot survive on this earth without it. Eat it and breathe it every single day. It’s way more important than knitting, gardening, or whatever hobbies that you have that occupies your time. And if you’re ready, you will find it.